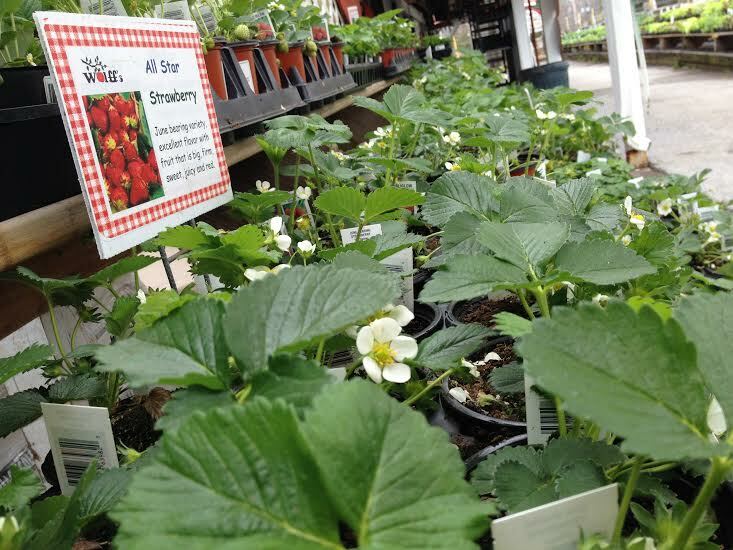 Every year, the garden center at Wolff’s Apple House features an abundance of strawberry plants for home gardens, and every year that I hear about this it still sounds magical. Really? 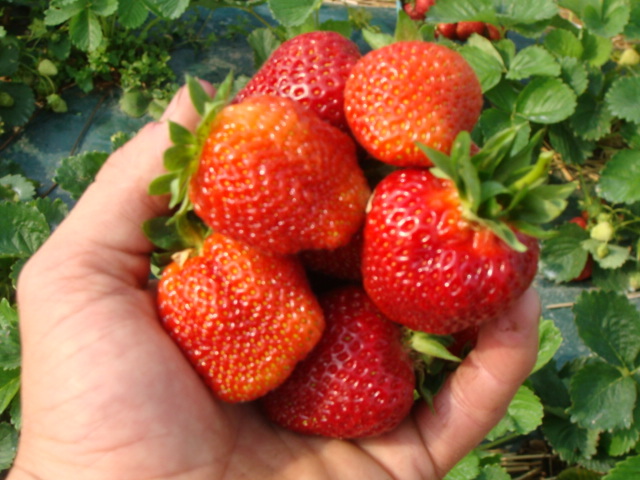 You can harvest strawberries from your backyard? And not just those tiny, gritty wild strawberries, but lush, flavorful homegrown strawberries? I shouldn’t be too surprised. My landlord grows raspberries all along one side of our backyard fence, and they produce so much she begs me to harvest them whenever she’s out of town in the summer. 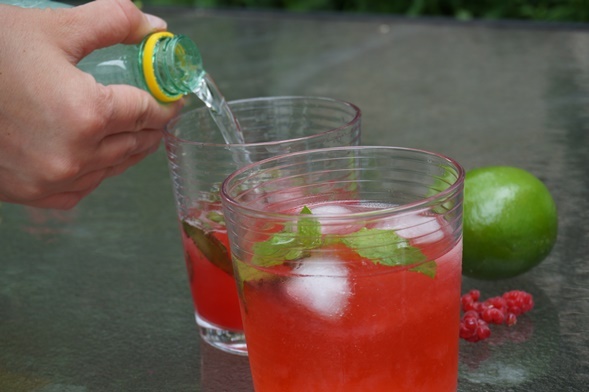 I take a mixing bowl and pluck plump red raspberries straight from the backyard, eating them out of hand or making raspberry simple syrup for drinks. And if I take a walk down the street in the summer, I’ll notice several neighbors growing corn alongside their chain-link fences on just a few square feet of yard. We work with the available space. My boss even has a Stayman apple tree in her modest city backyard! If I can’t picture growing strawberries in the backyard, maybe it’s just because my imagination is more limited than my yard space. 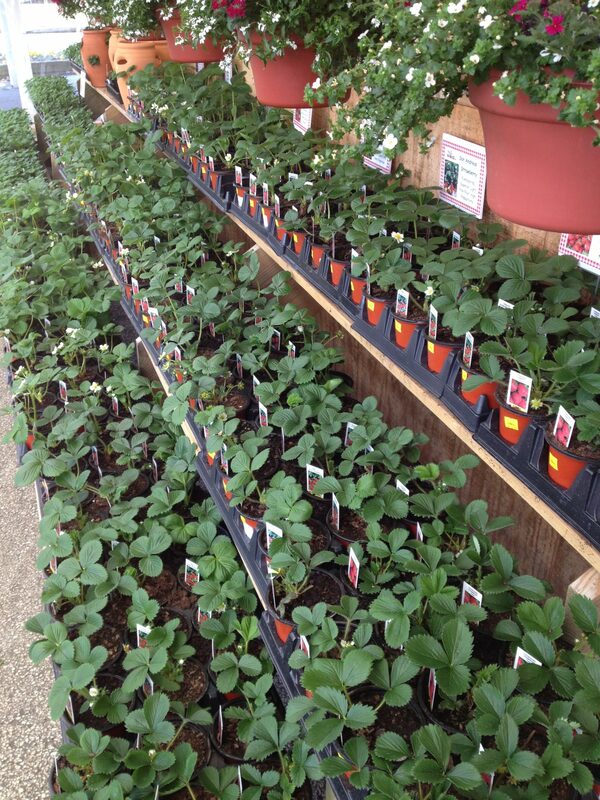 When it comes to strawberries, they will flourish even in pots! If you’re thinking of planting strawberries, seize the day! Strawberries should be planted in April, says the Penn State Extension Web site, and definitely not after June 1. Penn State’s site also recommends trying a few varieties to see what works best in your space, and we currently have plenty for you to choose from at Wolff’s, whether you select June bearing varieties for a large strawberry crop in June, or Everbearing and Day Neutral varieties that produce smaller but continuous yields throughout the summer. We sell them in single 4 1/2″ pots, so it’s easy to mix and match varieties like Chandler, Albion, Seascape, All Star, and more! Choose the garden space carefully, finding full sun and avoiding soil in which you’ve recently grown tomatoes since verticillium wilt can afflict both strawberries and tomatoes. In fact, Nan Reinert, an avid gardener, says to be careful not to plant strawberries close to tomatoes, eggplant, potatoes or peppers because they are all susceptible to the same wilt. I can attest to the havoc verticillium wilt can wreak on a tomato harvest. A few years ago, my lovely heirloom tomatoes succumbed to this; the leaves dried out and shriveled up, and the plant stopped producing! This was, however, in Chicago, where seasoned gardeners always recommend raised beds because of the soil quality–advice I did not take. Suzanne in the Wolff’s Apple House Garden Center notes that she has not known this wilt to be a big problem among Wolff’s customers, as most of the tomato and other vegetable varieties Wolff’s sells are resistant to diseases and wilts. Suzanne notes that strawberries flourish near pine trees because pine needles make the soil more acidic. If you don’t have a pine tree near your intended strawberry patch, Suzanne recommends spreading pine needles around your strawberry plants. Once you’ve picked a good spot, loosen the soil, says Suzanne. You want it to be well-drained sandy loam soil, rich in organic materials. Spread the roots and make sure the roots stay moist, but don’t keep them sitting in water, she says. Once the plants are in the ground, avoid overwatering. Not surprisingly, too much water on the garden leads to watery strawberries that don’t have that luscious juicy flavor. Thinning the plants after the harvest will allow next year’s crop to produce larger berries. Thinning also makes the berries easier to find since the plant’s large leaves can hide them! Earlier this week, I was on FaceTime with my sister, who had just come inside from her sunny garden where she was busy uprooting strawberry plants. “Well,” she explained, “you have to rotate the crops.” Strawberries do best when there’s plenty of organic matter and nitrogen in the soil, she said. My sister has spent a lot of time at Weaver’s Orchard in Berks County (one of Wolff’s growers), and she noted that Weaver’s plants a cover crop, such as rye, on their strawberry fields to enrich the soil during the winter. Chances are that home gardeners won’t be planting rye in their backyard, so what should you plant after the strawberries? 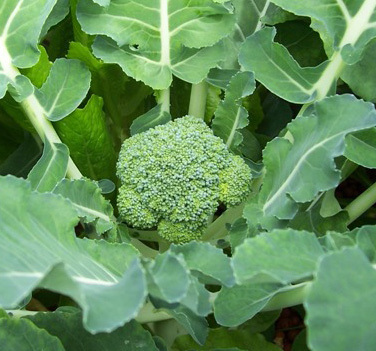 Nan Reinert recommends switching strawberries out for something in the brassica family: Broccoli, cauliflower, bok choy, brussel sprouts or mustard greens. You won’t need to rotate the crops every year, and you can often enjoy at least five years of these perennials. When you do plan to overwinter them, layer about four inches of weed-free straw over the plot in December, spreading it evenly so the plants can breathe and then removing it in the spring once there’s no chance the plants will freeze. Since strawberries can grow in spaces as small as a hanging basket or a planter, there’s no reason not to attempt your own homegrown strawberries this season! 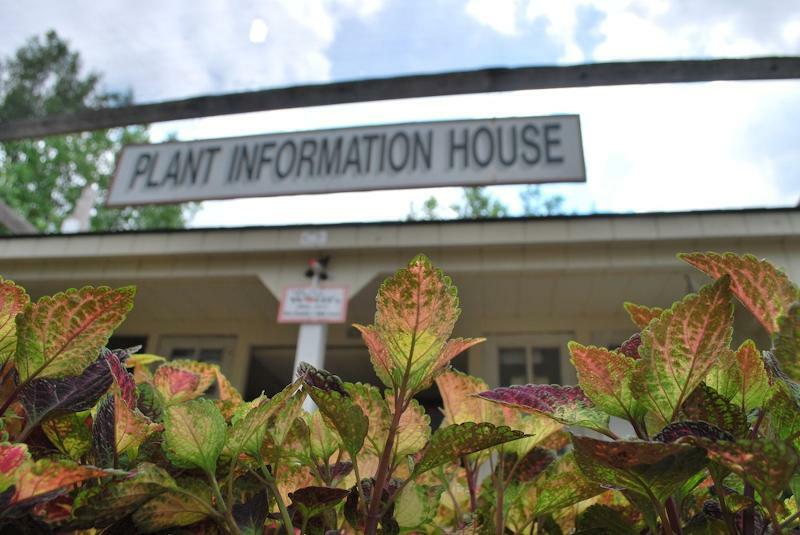 Feel free to stop by the Plant Information House at Wolff’s if you’re just getting started or have questions.